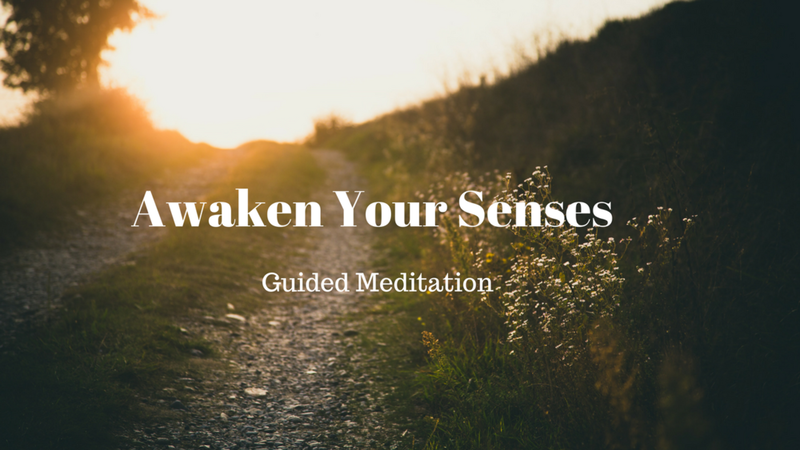 Awaken to the present moment by tuning into all the sensations in your body, from your head to your toes. Through this meditation may you awaken to your aliveness and carry that energy back into your day. Each time I come home from a yoga retreat I'm reminded of the magic that happens when we step away from everyday life, and immerse ourselves in healthy practices for body, mind and soul. I am reminded WHY I love to do this, how lucky I am to do this kind of work, how much we ALL need to retreat every once and awhile (myself included). Retreats are an opportunity for us to be remember how we want to live our lives. You know that feeling you get when you have so much to do (or want to do), but not enough time? It can manifest as racing thoughts, or jittery energy in the body. Sometimes it can turn into a headache, or neck and shoulder pain. Or even shortness of breath or tightness in your belly. Once in a awhile, it's OK and totally natural for this to happen. But we can get into trouble when this feeling of "not-enough-time" gets stuck on overdrive. But the good thing is there are some proactive things we can do about it. We may not always be in control of how much we need to attend to, or the amount of time allotted for our to-dos, but we do have some power in shifting our relationship to time. Here are some simple ways you can practice slowing down your sense of time. This meditation is to help you let go. But we've found that it's incredibly hard (or impossible) to find popsicles at the store that don't have a lot of sugar and other additives. And so, we are making our own. You may been doing this awhile, but they're a new addition in our family. And there's no turning back now! Here's a mini guided meditation to help you pause and reset. Whether it's been a long day, or you just need a break between activities, or maybe you're at the beginning of your day and are wanting to create the foundation of mindfulness, this practice is for you. Yoga breathing for kids and grown-ups alike. Smell the flower + blow out the candle. Enjoy! This meditation is to help you remember + re-connect with the feeling of gratitude. Enjoy! Here's a little somethin' to get grounded, open and allow for life to flow more freely. Find a quiet spot, get comfy, and settle in for 10 minutes of peace. Enjoy! Recently I had an "Oh S*&#@!" moment. You know the kind where time seems to stop. And then you think, did that really happen????" And then you realize, "Yes, it did." And it's like a complete, harsh awakening to the present moment. Yep. Those moments can really give you a wake up call, or rather an awakening of sorts. 3 Quick Tips to bring more mindfulness, peace and breathing room to your holiday season. December and I have a complicated relationship. Being raised with both Christmas and Hanukah traditions, having my birthday right before Christmas, and not to mention multiple holiday parties and New Year’s Eve, being busy during December is an understatement. Phew! 10 Simple Steps to Creating a Home Yoga Practice You LOVE! “If I could only just roll out my yoga mat and practice on my own everyday, that would be great.….. But I don’t know what to do or how to start.” I often hear this from my students, and I know this feeling well myself! I too used to be mystified by the idea of doing yoga on my own at home. And when I did occasionally practice on my own, it never felt as good as going to class. But life gave me opportunities to get on my mat and develop a sweet relationship with myself while doing my own thing. The first time yoga came into my life was about 8 years ago...I remember feeling curious....The initial feeling of calm and quiet was a feeling that was a little foreign to me, so this intrigued and scared me at the same time! One of the things I love most about teaching yoga is the inspiration I get from my students! It's truly an honor to hear their stories, share in their journeys, and grow together through this practice (on and off the mat). So I've decided to do a monthly inquiry with students and share their yoga stories with you here. To start us off is the lovely Sarah Pham, my student, neighbor, and dear friend. Sarah is a mom, who works full time and has a very dedicated yoga practice. Here are some of her thoughts on yoga and how it fits in to her life. I can hear myself telling folks "Breaks are good, even from things we love like yoga. The time away always provides new perspective." I've said this countless times to students who have taken time away from their yoga practice. Many of us feel guilty when we stray from our healthy habits and routines. But the truth is, life happens, and sometimes the breaks are necessary. For the last week I have humbly stepped back on my yoga mat. Actually, I rolled out my mat at least 3 other times the previous week with the intention of practicing, but ended up holding my newborn as I modified my asana to "mama and baby" yoga, which was really "mama holds baby on the mat yoga." But this week the stars aligned and I was able to indulge in some "me time" in my little studio 5 different times! Woo hoo! 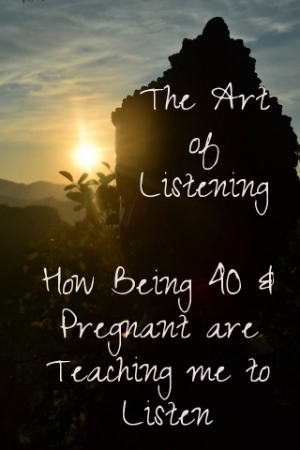 It's been 10 months since my pre-pregnancy yoga practice. And during that time I slowly let go of asanas: inversions, backbends, twists, and forward folds. I shifted out of my rigorous yoga routine to a more gentle, restorative, intuitive practice. And at the end of my pregnancy I actually let go of doing asana all together. With all the limitations and modifications, my asana was no longer enjoyable. So I opted for lots of meditative walking and savasana. My yoga of "listening in" became a practice of not "doing yoga," but rather "living my yoga" and honoring myself in each moment. Fast forward to 1 month post birth. I'm adjusting to my new body, on and off the mat. Here are 5 things I'm learning and remembering back on my yoga mat. 1. Not being on auto-pilot- Yes, rationally I know that yoga is about tuning in to each moment. But after 20 years of yoga, as much as I thought I was aware of myself in down-dog, there was also a deep sense of familiarity and comfort. After many months away from down dog, I return with a sense of wonder. "Wow! This feels incredibly different!" My tight calves and hamstrings are great teachers these days in how to be present. Actually, it's hard not to pay attention! 2. Non-judgement- Well, my postnatal body feels very different that before, to say the least. Things that used to be easy are now challenging. Places I used to feel open are now tight. These differences are truly opportunities for me to let go of how I think I should be or shouldn't be, and to practice allowing for what is. 3. I am enough- Even if I only practice 30 minutes, 5 minutes, or have just a few moments of mindfulness, I am enough. Whether or not I have to stamina for challenging poses, or realize I need more restorative, I am enough. This is my mantra. 4. Patience- Nothing is permanent. I know this. As I humbly return to my asana practice, I know that each day gets easier, and each day I can do more. I know I can't instantly return to the strength and flexibility I previously knew. But I feel I'm at a new beginning, and with time and patience the beauty of my new practice will continue to unfold. 5. Gratitude- After taking a needed break from my mat, I return with a sense of gratitude. I feel truly thankful to be able to return to a practice that is so healing, so helpful in my life. Some of things I took for granted before (i.e. the luxury of 2 hour yoga sessions and ease within challenging poses) I now have so much appreciation for. Breaks are good, even breaks from things that are good for us. They give us perspective and also new motivation. Breaks also offer us a chance to fall in love again with the things we took for granted. I'm feeling blessed for the break, and even more grateful for the return. Speaking of breaks, I'm super excited about retreating this winter for the 3rd Annual Om for the Holidays Retreat! I created this retreat with the intention of offering a mindful alternative to the hustle and bustle of the holiday season. Find out more details HERE. Twas the night before my due date, and all through the house not a creature was stirring, not even a mouse..... Well, not exactly, I feel the "creature" stirring inside my belly! But otherwise, it's pretty calm and quiet around here. Hubby's on the couch writing his last big paper for school. Dog is by my side for yet another nap. The hum of the washer can be heard in the background. Yep, it's pretty quiet around here today.......... Is this the calm before the storm??? Namaste - I hope you new year is off to a fabulous start! We made it through the whirlwind of the holidays, and hopefully some of the busyness at the beginning of the new year has settled. Now is another great time to check in, listen-in, and reflect. With busy schedules and heartfelt intentions, we strive to live our lives to the fullest. But coming from a culture dominated by the idea that "more is better," sometimes we lose site of the art of the pause, the practice of simplicity, allowing for quiet and silence, and taking space between activities. What do we do when we find ourselves getting off track and stretched too thin? We simply begin again. And again, and again and again. Each moment of our day is a opportunity for us to practice mindfulness, and begin again. The new year is a great time to get clear on our intentions and desires, and to let go of things that no longer serve us. However, January can also be an extremely busy time of catching up after the holidays and keeping up with our new routines. That is why I decided to organize a weekend getaway for the end of January as a way to pause, reflect and reset. The Love Life Yoga Retreat (January 30-February 1) will be held in the lovely Valle de Guadelupe, the heart of Mexican wine country located just 90 minutes from San Diego. This is a magical region of beautiful rustic countryside, culinary sophistication, and extraordinary wine. Here are 5 reasons to retreat to this premier food and wine destination. 1. The Food- According to chef Diego Hernandez of renowned restaurant Corazon de Tierra, "Here in Baja, we have a palette of flavors like a painter." And USA Today calls the region the "Napa of Mexico." The Valle offers a deep connection to the land, biodynamic farming, exquisite culinary taste, and the art of heart and soul in their cooking. Check out the Sunset Magazine article for more info on the food, wine, and magic of this region. 3. Slower Pace - The Valle is a beautiful open countryside that presents an invitation to slow down. Away from the hustle and bustle of urban life, the Valle offers quiet, open space, and beautiful sunrises and sunsets. And at hotel La Villa del Valle, there is minimal wifi and cell service- a great place to take a break from technology and reconnect with ourselves and nature. 5. Why Not? My husband's Tony's name spelled backwards is Y-Not. So this is his motto for doing the things he wants to do. I've adopted this motto, and it seems to work well for reminding me to follow my heart and and embracing the fullness of life.